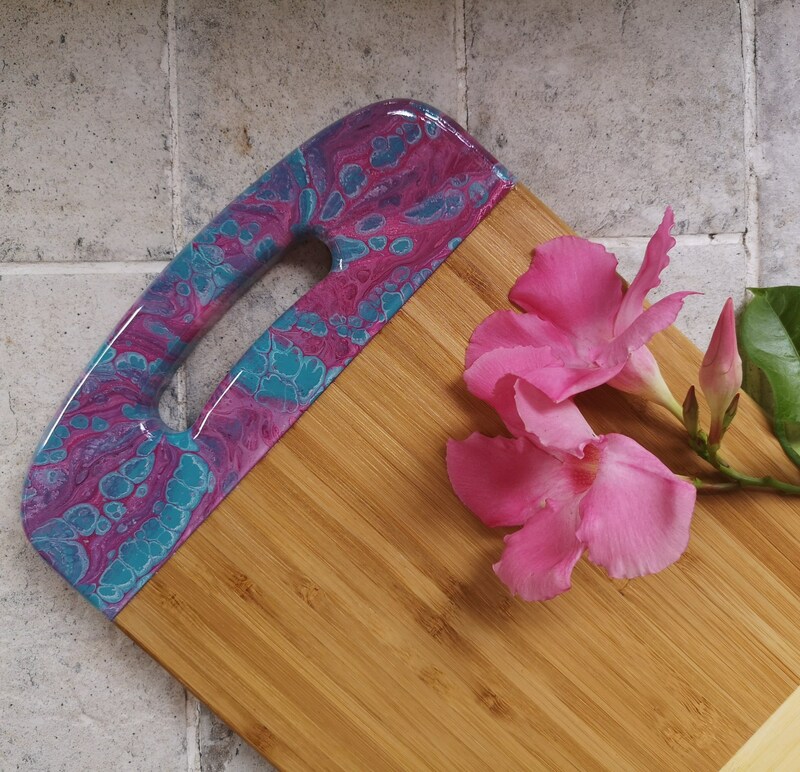 This bamboo board has been handpainted with acrylic paint, in shades of blue, turquoise and elderberry. The back of the board is plain. 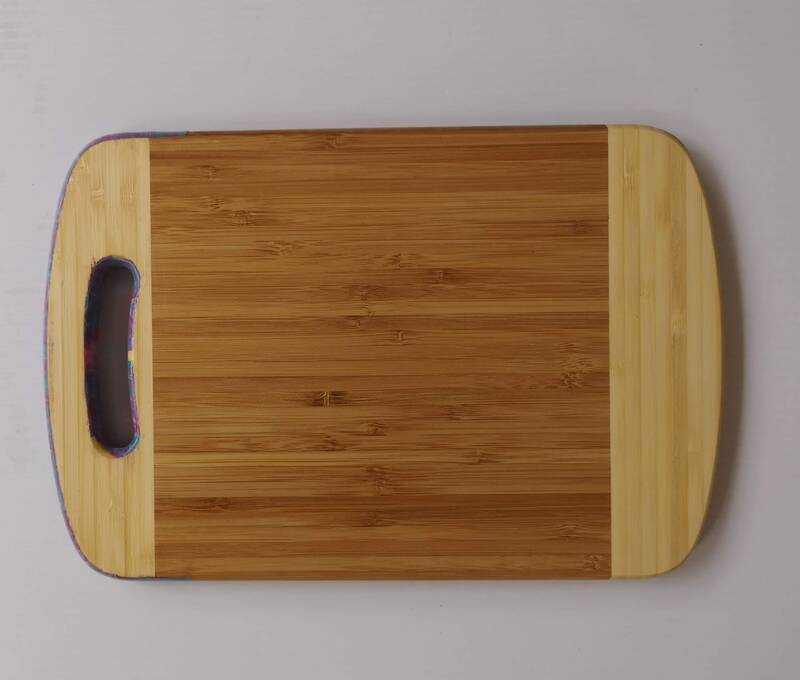 This board is made of bamboo which I like using because it is a sustainable material, growing to maturity in just five years. Sealed with food safe pigmented resin. 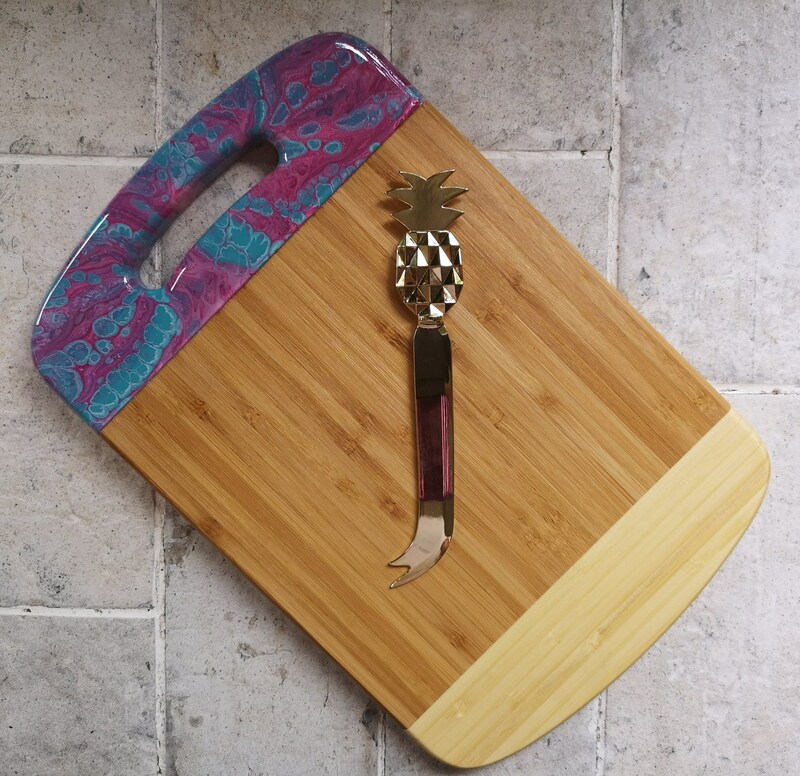 The board can be used as a chopping board, or cheeseboard, taking care not to cut directly on the resin artwork. The board has been conditioned with food-grade mineral oil. Not dishwasher, microwave, oven or cooktop safe (comes with care and cleaning instructions).